United Electric is a local electric company that offers services ranging from generators and home lighting to security. 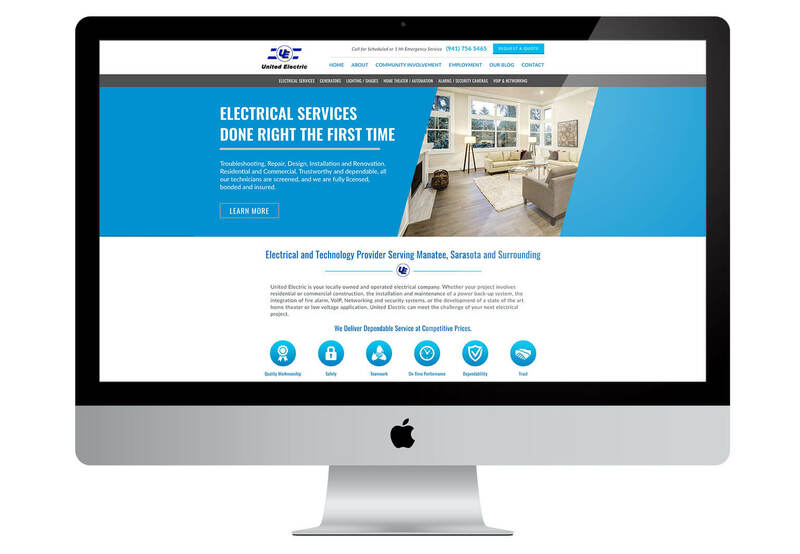 The homepage was focused on earning trust and showing the overall services of the company. It was crucial that all of their services were continuously on display, so we added a second navigation menu to accomplish this. We made sure that there was always a bold, clear, call to action. We prominently displayed the phone number in the header next to the big quote button. Individual pages were text-heavy to be informative and as part of our advanced SEO services, we created multiple pages to rank for keywords in these highly competitive areas. We broke up a lot of information using color, headings, lists, line, and rotating images.